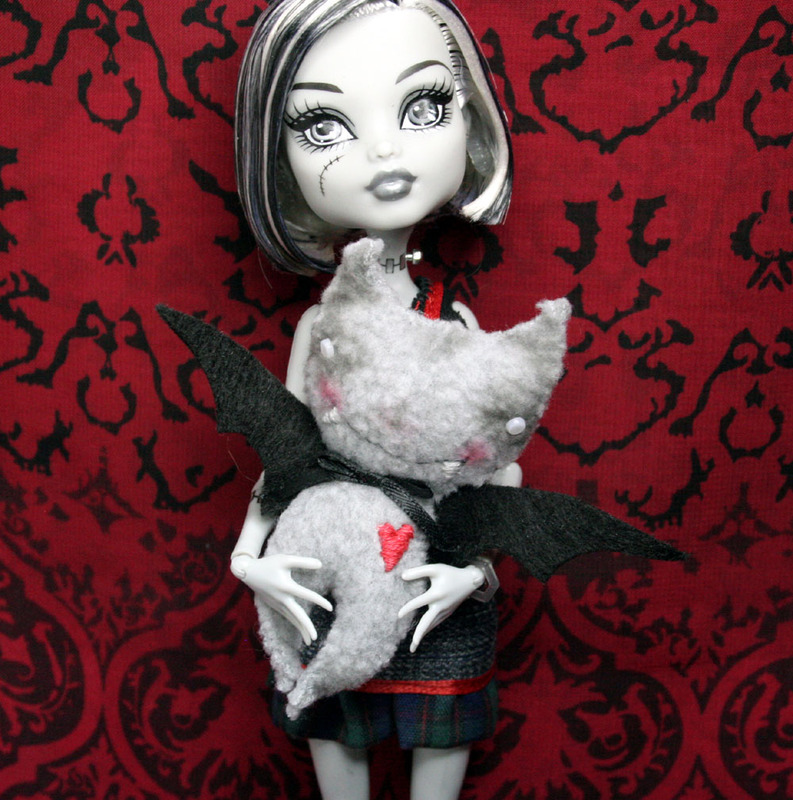 Good things Come in Small Packages... Bitty Bat is no exception! 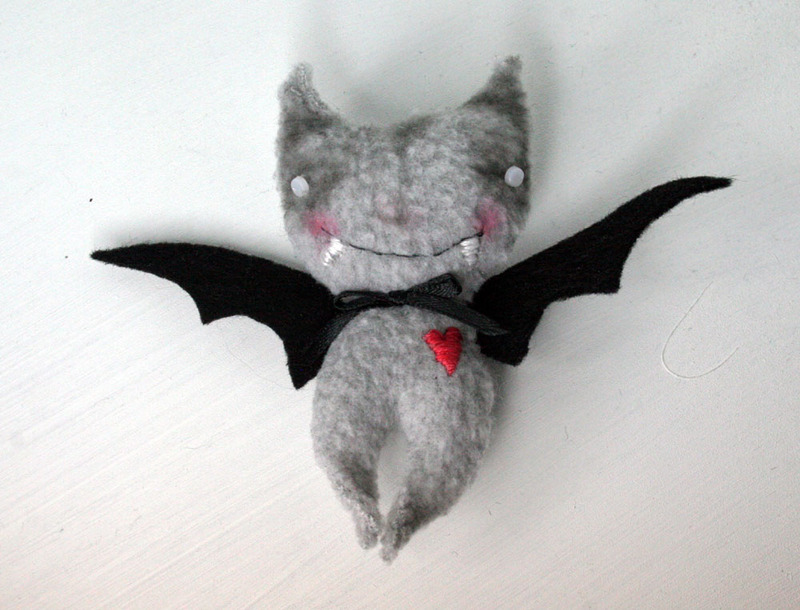 Mr. Bitty Bat is the July Prize! You don't have to be a Monster High fan to appreciate this guy- he will steal your heart. Well, he is hoping too anyway. Frankie is just holding Bitty to give you an idea of his size- he is one small bat. Bitty Bat has been made by hand from my own pattern, completely by hand. He's so cute!! Best of luck to everyone!! Oh Insane CooLNess! You are so AmaZing with what all you create and share here - AweSomeMosT! He has such a cute face, well done!